We got our first look at the live-action version of Pooh Bear in the first trailer for Disney’s upcoming film “Christopher Robin”. Now, Disney has dropped a trailer that features the whole gang from the Hundred-Acre Wood! In a word, this movie looks “Adorable”. 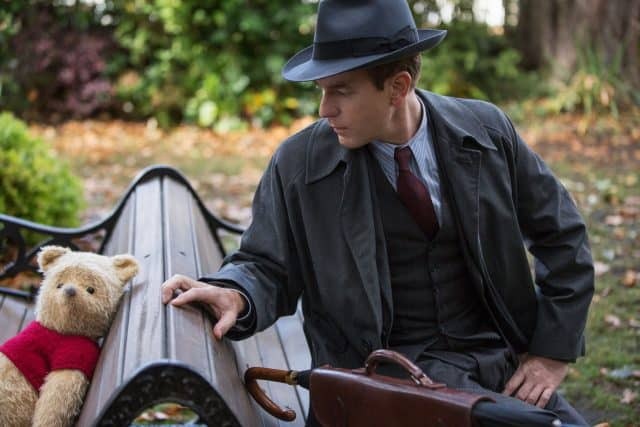 As we saw in the first trailer, Christopher Robin is all grown up and is living in London dealing with grown up problems when his childhood friend Pooh appears. We guessed that Pooh was there to help Christopher remember the joy of his childhood and use that perspective to deal with “adulting”, as they call it these days. But we weren’t sure if Christopher Robin would be returning to the Hundred-Acre Wood, or if the action would take place in Christopher’s world, or what other characters we’d get to see again. There’s a lot to love about this latest look at “Christopher Robin”. 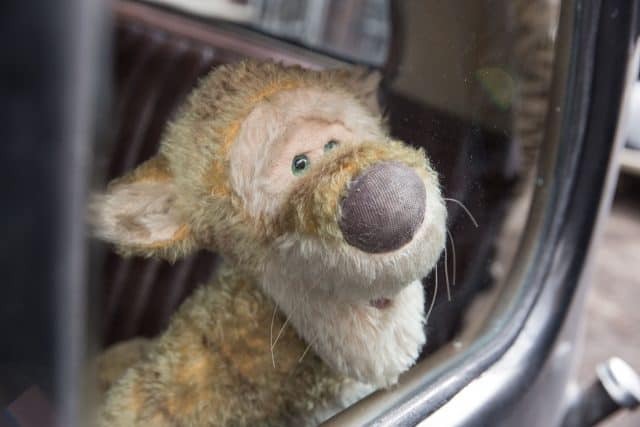 Tigger in Disney’s CHRISTOPHER ROBIN. The more I see of them, the more I love that Disney went “old-school” with Pooh and all his pals. Rabbit and Tigger look particularly rough compared to their animated versions, but those familiar voices and mannerisms we see show they are the same lovable characters we’ve grown up with. I wonder if Disney would ever consider a limited-time appearance of these vintage versions of Pooh and his friends in the theme parks. 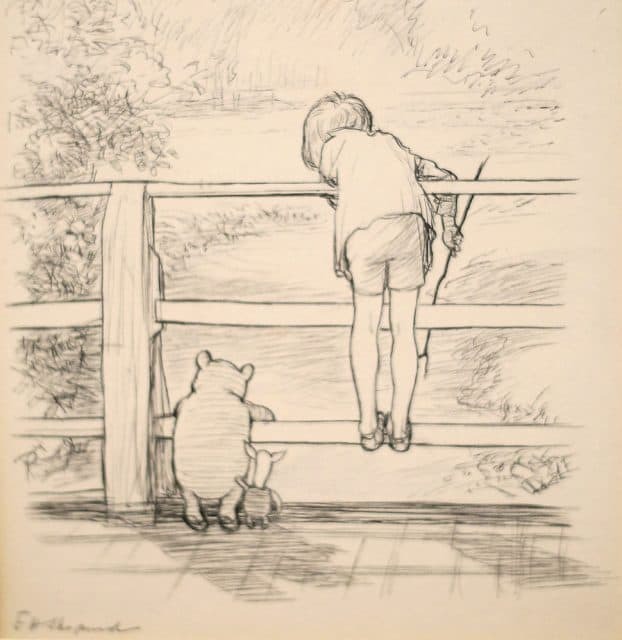 The drawing by E.H Shepard of Winnie the Pooh, as the bear plays “Poohsticks” with Piglet and Christopher Robin. They’ve brought the beloved Hundred-Acre Wood to life in a way that looks to be very true to the stories we know and love. The bridge and party scenes look like they are right out of the book. Madeline Robin (Bronte Carmichael) and her father Christopher’s longtime friends Tigger, Piglet and Winnie the Pooh go on an adventure in Disney’s CHRISTOPHER ROBIN. There are many ways Disney could have gone in bringing the imaginary and reality together. They could have opted to keep Christopher Robin’s childhood friends imaginary, or had most of the movie take place in the Hundred-Acre Wood. But we can see from this trailer that others can see them, too! In true Pooh style, the silly old bear drops wisdom on Christopher Robin (and us) by taking the biggest ideas and simplifying them. I love this quote as much as the other pooh-ism in the trailer, which uses the same simplicity to add humor. Search the Internet for pooh quotes and this one is sure to turn up. But, I can’t find an actual clip from a movie or quote from a book where he actually said it…. until now. When the first trailer debuted, I couldn’t help drawing comparisons to “Hook”. There were so many similarities between Peter and Christopher going on adventures as boys in a fantastic world with friends and then finding themselves all grown up and having lost their way, only to have to rediscover their childhood to fix their issues. In fact, there are many movies that use this idea. Tom Hanks famously infuses childhood innocence into an adult world in “Big”. And there are certainly plenty of others that try to do the same but are less enjoyable. But the message has stood the test of time and it’s often just a matter of hitting the right notes in presenting it on screen. Disney has a good track record of re-purposing familiar stories and themes in a way that resonates with us. Hopefully, the rest of Disney’s “Christopher Robin” will live up to what we’ve seen in the previews thus far. It is set to hit theaters August 3, 2018.